Vaccines enlist the immune system in the battle against cancer. Treatments would begin after surgery and chemo, to prevent relapse. Back in 1999, two researchers at the National Cancer Institute (NCI) received a long-awaited green light to launch separate studies on cancer care. Six months apart, Dr. Douglas Schwartzentruber and Dr. Larry Kwak began enrolling subjects to test an entirely novel weapon in the war on cancer  one they hoped would bypass the toxic effects of chemotherapy and give patients a new edge in halting the spread of tumors. Both had the blessings of Dr. Richard Klausner, then NCI director. But even Klausner, a well-respected researcher, had to be persuaded at first. "I came to the NCI being quite skeptical about it," he says of the new strategy. And he wasn't the only one. What Schwartzentruber and Kwak were hoping to do was prove they could vaccinate a patient against cancer  educate a body to, in essence, recognize and round up tumor cells the same way it polices viruses and bacteria. It certainly made good biological sense: the immune system is the body's built-in defense mechanism, after all, so why not turn it against one of the most ornery diseases around? The problem, of course, is that a tumor is not exactly a pathogen. What it is, at its core, is a collection of aggressively growing cells that can't stop dividing. It is not entirely foreign, as a virus is; it does not infect healthy cells, as bacteria and viruses do. Turning the immune system against cancer cells would involve turning the body's defense mechanisms against a part of itself. Designing a vaccine to do this entails creating the biological version of a stealth weapon encased in a smart bomb equipped with a guided missile. And that was proving to be a bit too challenging. Nothing that hundreds of researchers in hundreds of trials had attempted had worked. While the vaccine idea made logical sense, the immune system, it seemed, just wasn't designed to battle cancer this way. But in June, after nearly a decade of carefully inoculating patients suffering from either advanced melanoma or a type of lymphoma, both Schwartzentruber and Kwak announced positive outcomes of their trials, at the American Society of Clinical Oncology meeting in Orlando, Fla. Their results, along with those of a trial vaccine against prostate cancer and an early candidate against a type of brain cancer, suggest that we might finally be on the way to unleashing the immune system against the disease. It's about time. Senator Edward Kennedy's death after a yearlong battle with brain cancer is only the most prominent reminder that while many current treatments are certainly effective, they can be made even better. Though malignancies are now being caught earlier than ever before and treatments that target and control the disease are more effective than ever before, cancer is still the second biggest killer in the U.S., claiming more than half a million lives each year. Surgery, chemotherapy and radiation can do only so much when tumor cells hide in plain sight and even a single overlooked cell can seed new disease. That's where a vaccine-based strategy could make a difference. An immune system trained to recognize the first signs of new or recurrent growth can begin to attack malignancies far earlier than the best scans can detect them. And the latest vaccines incorporate clever new insights into how malignant cells can be tagged, exposed and destroyed. "Understanding how the immune system works is going to play a significant role in our treatment of cancer going forward," says Dr. Len Lichtenfeld of the American Cancer Society. It's not just the biology that is getting better. 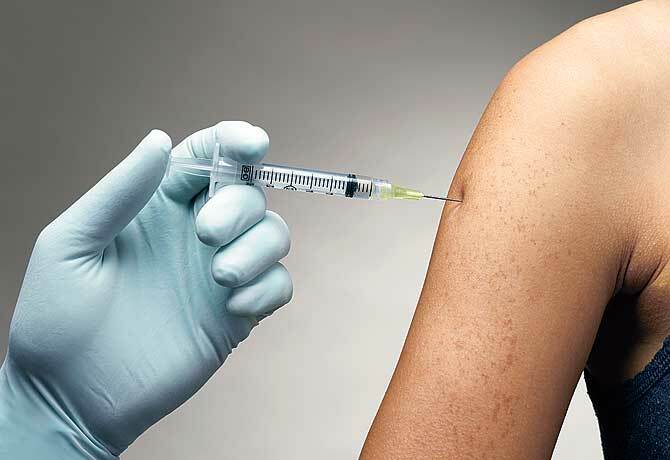 Researchers are even fine-tuning when to give a cancer vaccine. The latest data from the lymphoma trial, for example, suggest that in some cases, the best time to train the immune system might be during a remission, when the body's defensive cells are at their strongest. "It's been a slow evolution, but we are seeing the first inklings that cancer vaccines can work," says Dr. Steven Rosenberg, chief of the surgery branch at NCI and a cancer-vaccine pioneer who trained Schwartzentruber, now at the Goshen Center for Cancer Care in Goshen, Ind.